We have dedicated full-time marketing staff who now can serve you as a Pitch Package Member to develop your marketing platform, logo, elevator pitch, one-pager tear sheet, website, pitch deck, and keeping this all updated in a timely frustration-free manner. 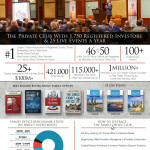 We also charge a month-to-month subscription so you can keep your investment presentation materials updated over time without hassle or wasted time, and focus on developing relationships instead of messing around with outdated clip art and graphics that may require sophisticated software to manipulate. 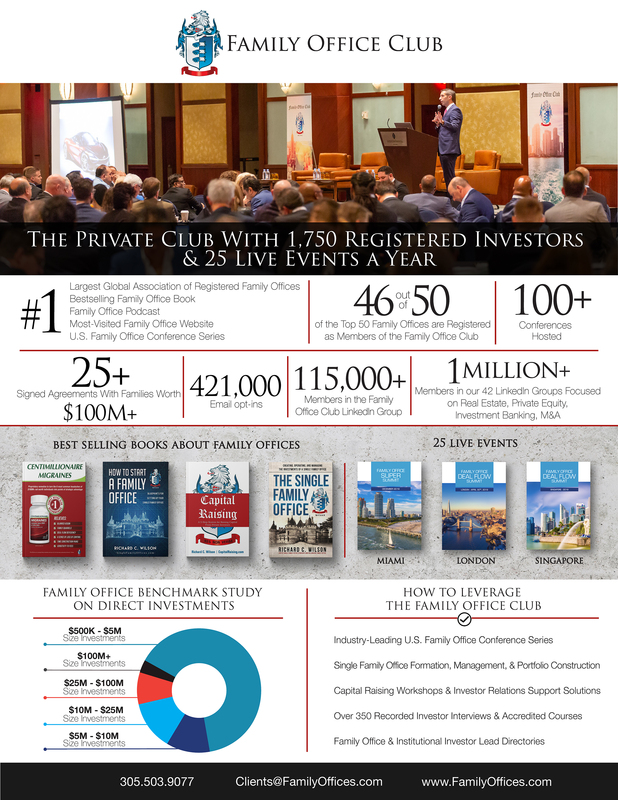 We represent 22 families worth over $100M each, and we have insight on what investors or family offices want, expect, and demand to be taken seriously while presenting services or investments. 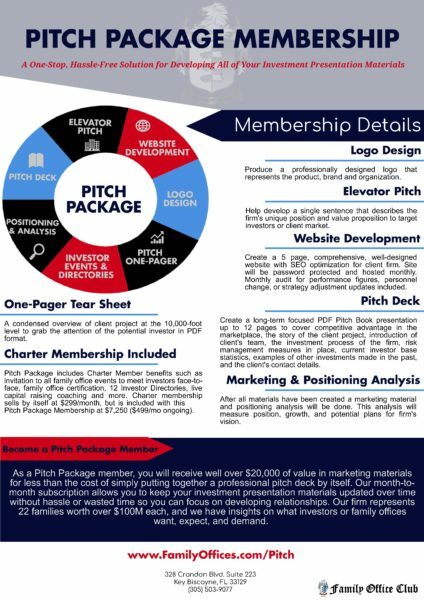 Pitch Package Member Benefits Table: The table below shows how by becoming a Pitch Package member you will get well over $20,000 of value in the Pitch Package for less than the cost of simply putting together a professional pitch deck by itself. Website Creation: a Comprehensive, Well-Designed and SEO Optimized Website for Client Firm. Pitch Book/Deck: a Long-Term Focused PDF Pitch Book Presentation up to 12 Pages to Cover your Position and Offering. Pitch One-Pager: a Short, Condensed Overview of Client Project at the 10,000 Foot Level to Grab the Attention of Potential Investor in PDF Format. Marketing Funnel Analysis: Full In-Depth Analysis of Position in Marketplace, Potential Future, What Thought Leadership Assets Can Help Attract Investors, and Potential Communities to Get Involved In to Attract Investors. 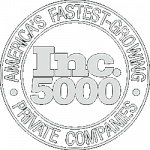 Monthly Media Platform that includes social media handle administration, podcast development and publications.